This blog provides easy to learn examples on various Java topics. 1. Customize to Events, Icons and different background colours with CSS. 3. Events available on click of day and events. 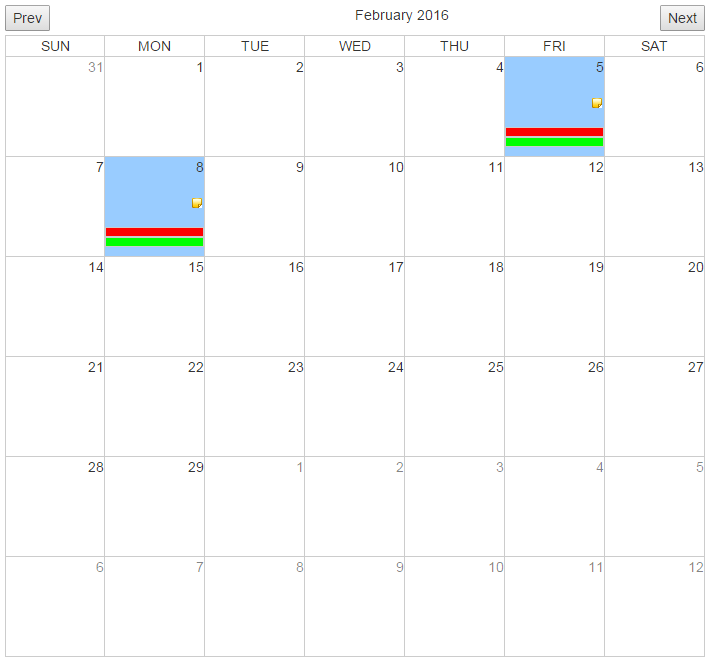 The simplest usage of Calendar is to display the calendar with just empty dates. In the head tag, place below js and css files. Make sure they are present in the folders specified. In the script tag, place the below code snippet. // call createCalendar with null data. 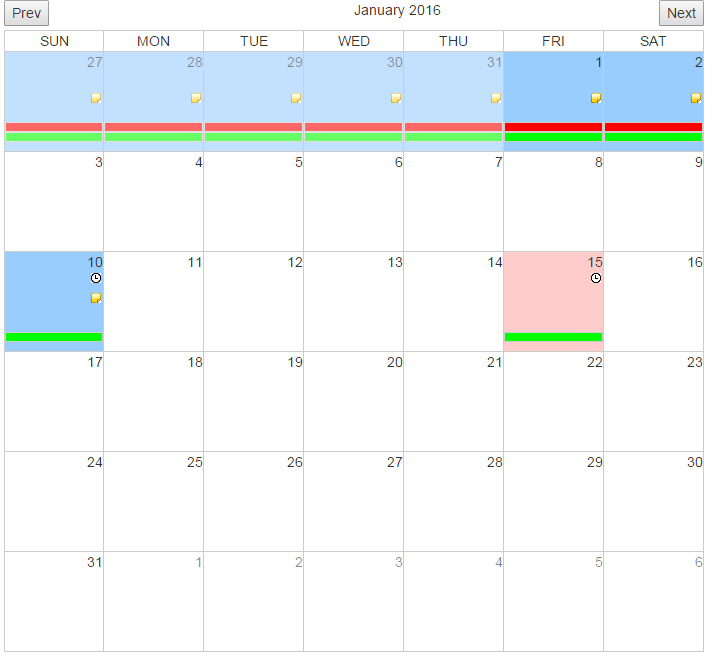 This will create a empty calendar with only dates. Here 2 variables are defined; both are not assigned any value. If you want to open the calendar on a particular month and year. Populate the currentDate variable. 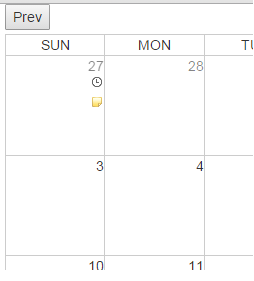 Place the below div, where you want the calendar to appear. That’s it. You should see the calendar with current month. The Calendar date can be populated with background colour, events and icons. 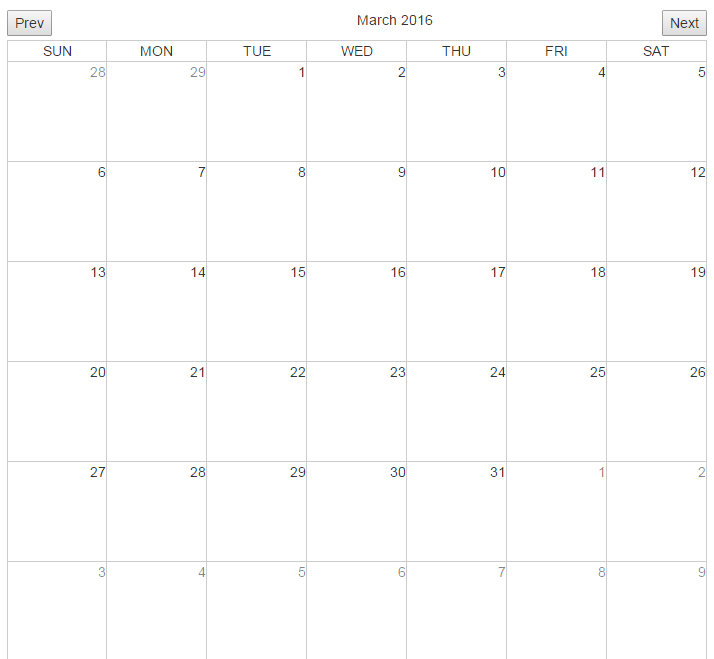 All these data can be provided to the calendar from a JSON object. Let’s first consider the background colour. So now the Initialisation of calendar script becomes. After this we also need to add a css class for the colour. Note here that the busy in the json object matches the css class. That’s it. You will get your day colored. If you want 2 days to be of same color. Use this JSON data. You can show icons on the day as well. Add iconlist attribute in the jsondata. Multiple icons can be provided with a comma separated list. Above style will position the icon on the day. 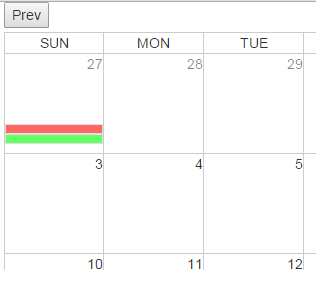 Events can be added to the calendar using JSONdata. Note the extra event added to the class name as mentioned in the JSONdata. The above style provides the styling of the event and its position. The eventtext attribute is used as hover text on the event as shown below. The JSONdata can also be populated using ajax REST calls. 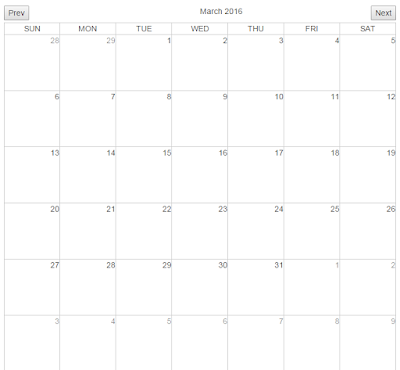 Make following changes to script to initialize the calendar. 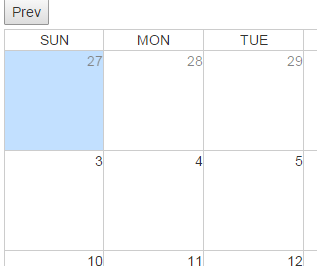 On clicking on the Next and Prev buttons, new JSONData can be passed to the calendar. Implement the below methods. 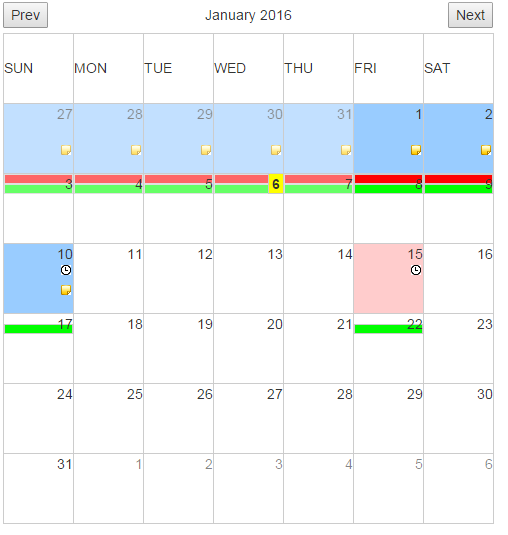 Call this method to clear the calendar content.